You have probably already sussed out that I am not a very good writer (I am very well aware of it). In fact, I have never written anything longer or more interesting than my dissertation which was 7000 words on the topic of accounting frauds. However, I still wanted to share my experience (despite the embarrassment!) to other Dystonia patients in as much detail as possible so it can be of help, perhaps not to all but to at least some. From this post onwards I will write about my daily struggles during the treatment. I must say it was not an easy process; the battle with myself was possibly the most difficult part to overcome but after I went over enough hurdles it became easier and easier. I spoke to many other patients and they go through exactly the same, the only difference being the time it takes to overcome the obstacles. So here it goes – my diary from the first day at the clinic. I probably felt a little uneasy at the clinic at first as anxiety made it difficult to cope with an unfamiliar environment. Dr Lee and the staff at the clinic had kindly waited for us which I feel grateful for when thinking back although my mind was elsewhere at the time. He spent 20 minutes on explaining the importance of TMJ, how TMD is caused and how TMJ is connected to Dystonia and other disorders in a way that was easy to understand with diagrams and illustrations. He then went through various tests to identify whether I had TMJ imbalance and distortion of the first and second vertebrae. It was clear that I did in fact have both which was apparently causing Dystonia. 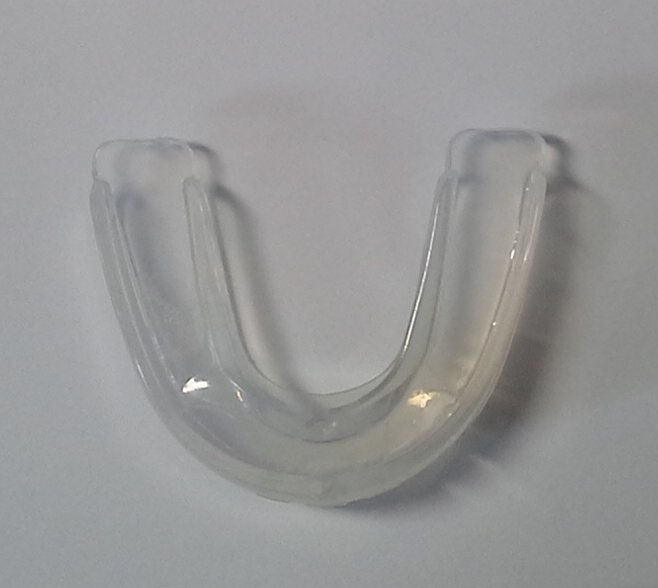 After the tests, he gave me one of the intraoral balancing appliances called OBA (Occlusion Balancing Appliance) as I had Class 2 malocclusion. Immediately after wearing the appliance I was 70% free from pain and I also felt less anxious. I became excited that there was finally a ray of light. 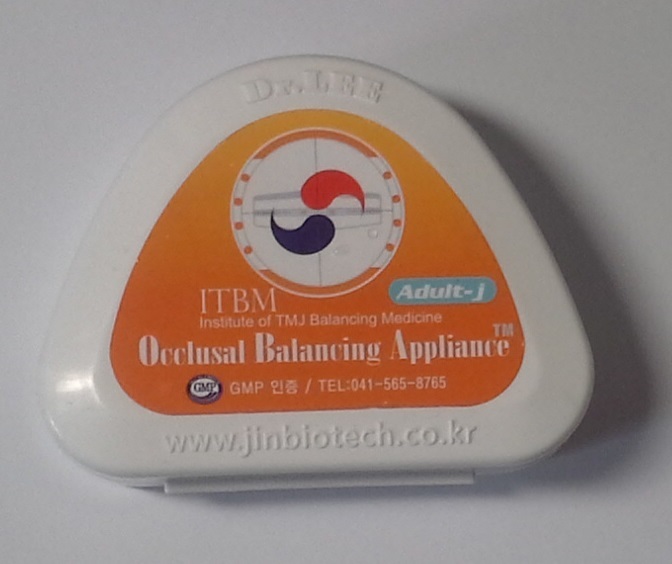 OBA (Occlusion Balancing Appliance) – a standard TMJ balancing device made of elastic (silicon) material. Dr Lee told us that he had arranged a studio flat next to the clinic for us to stay and to come back the next day to decide on treatment plan and proceed with the treatment. The flat was quite small but modern and fully equipped with air conditioning, washing machine, fridge and kitchenware. The time difference between the UK was 8 hours and I struggled to fall asleep. I did dose off for little while but most of the night was spent on regretting the past and blaming myself for being so arrogant. I also worried whether this treatment could lead to recovery or if I might have to face the possibility of living with Dystonia forever. During this time, worrying made the spasms worse and I spent the rest of the night wide awake.